Ideal for unmanned sites and out of hours operations, this service offers an unrivalled flexibility to our customers. When it comes to managing your business and giving yourself the range of services that you need to get jobs done, sometimes you need to bring in the right machinery from elsewhere. 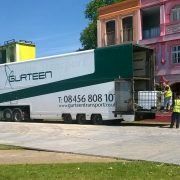 A popular and common choice of hardware to have on-site is the self-loading vehicle hire service that we provide. With vehicles as heavy as 44 tonne GVWs, fully equipped with Moffett Mounty fork trucks, you can make sure that you can lift up just about anything from the premises. Self-loading is a very useful solution in that it takes out all of the strain and challenge of having to do this kind of service manually. The strength and ease of use of the hardware that you use to get the job done removes all of the innate challenges that you would have expected from self-loading vehicles. The range of vehicles we have are varied and built for the job, ensuring that safe and easy loading of products onto the back of just about anything is made nice and simple. The process itself is very easy; you simply use our self-loading vehicles to get the job done which enables you to concentrate on very important tasks elsewhere in your business. Since the system can be more or less automated, you can speed up productivity massively whilst ensuring that the job is getting done to the very highest of professional standards. There are many benefits to having this kind of service, not least the time saved. With improved productivity you will find that you can get on with more tasks and achieve more. It will remove the challenges of dealing with the movement of products and equipment, ensuring that everything can be put in the right place efficiently and also speeding up your processes so that you can operate more effectively. Self-loading vehicles are the ideal choice for unmanned sites and when you are taking on jobs that need to be done outside of normal hours. Thanks to their flexibility and their power, you can use self-loading vehicles at times that suit you. 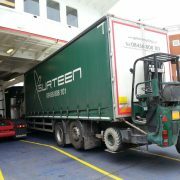 If you need self-loading vehicles then please get in touch to discuss your needs. The hiring process is easy. 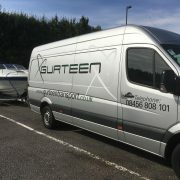 You just need to get in touch with the team at Gurteen Transport and we will sort out all the requirements for you. Our range of trucks are multi directional enabling entry through narrow spaces and across rough terrain. They are ideal for construction sites and you can achieve delivery in most situations where standard methods would be very labour intensive and extremely time consuming. 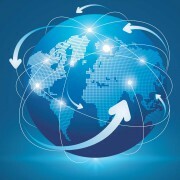 Interested in making life easier? Then self-loading is just what you need. Contact us now for more information.